Sure, actor Fabrizio Zacharee Guido might’ve unwrapped a video game console or football jersey on his 13th birthday last year, but it wasn’t the most exciting surprise he got that day. That distinction goes to a phone call he received from his manager who had some amazing news. 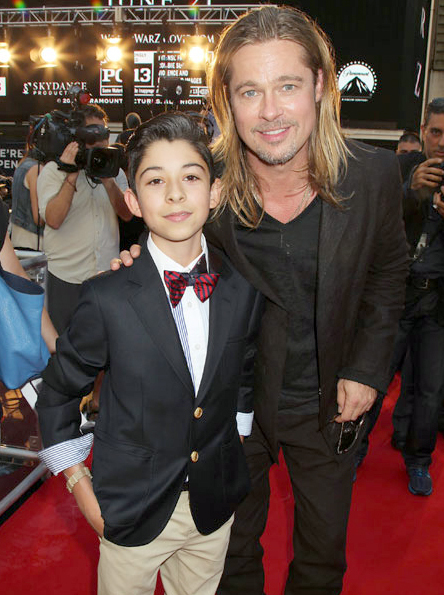 In “World War Z,” Guido plays Tomas, a young boy who is separated from his family during a zombie attack and fights to survive by uniting with former United Nations employee Gerry Lane (Pitt) and his family. This is the first feature film of Guido’s career. He will also star in the new NBC comedy “Welcome to the Family,” which premieres Oct. 3. “World War Z” was released on DVD/Blu-ray Sept. 17. I know your mom is an actress, too. Is that what got you interested in acting? Yeah, I would just watch my mom in the theater when I was younger. Then her friends started doing more films and wanted to know if I wanted to be in them. I started acting professionally when I was seven. I’m going to high school – 9th grade. Do your friends know that you’re an actor? How do they react? They do. Well, some of them don’t know, but a lot of them are happy for me. 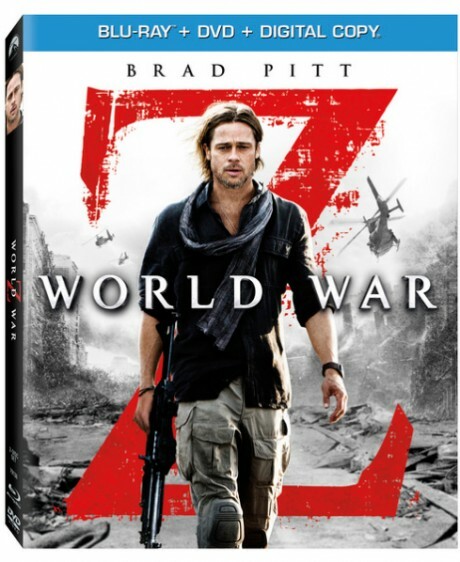 Most of my friends have seen [“World War Z’]. So, what did you like about your character Tomas? What I like about him is that he’s a really strong boy. He’s very protective of his family and then becomes protective of Gerry’s family. I just think he’s a really cool character. We don’t get to see what actually happens to your family in the film, although we can guess that they probably didn’t survive the zombie attack. Did you ever wonder how your character was able to escape when no one else did? Yeah, I did. Gerry’s family struggled a lot to get out, so I started thinking if Gerry killed all the zombies before I got out, then he just cleared the path for me. Did you watch zombie movies before you were in one? What was it like being on a movie set where there were more than 1,000 extras at any given time? There were a lot of extras! But it was super fun being on set. Everyone was like family. I was in the middle of the action, so I was a big part of it. I play a boy named Demetrio. He’s really lazy. Does your mom give you any advice now that you’re a big-time actor? Yeah, she coaches me for every audition. She helps me with my lines. She is a great support. Who do you look up into the industry? I like [actor] Michael Peña and Brad [Pitt]. Brad really inspired me on the set. What did he do specifically? Just the way he would carry himself when he was acting. He would put a lot of detail into his character and would make it better. What did you think of the movie when you finally saw it on the big screen? I liked it. I thought it was really good. It was surreal because for so many years [acting] was a dream. When it comes true and is in front of you, it’s the greatest thing.